Our volunteers play an integral role in making each day the best possible day for people living with and affected by ALS. They unselfishly donate their time to the ALS cause and help raise awareness across the province. 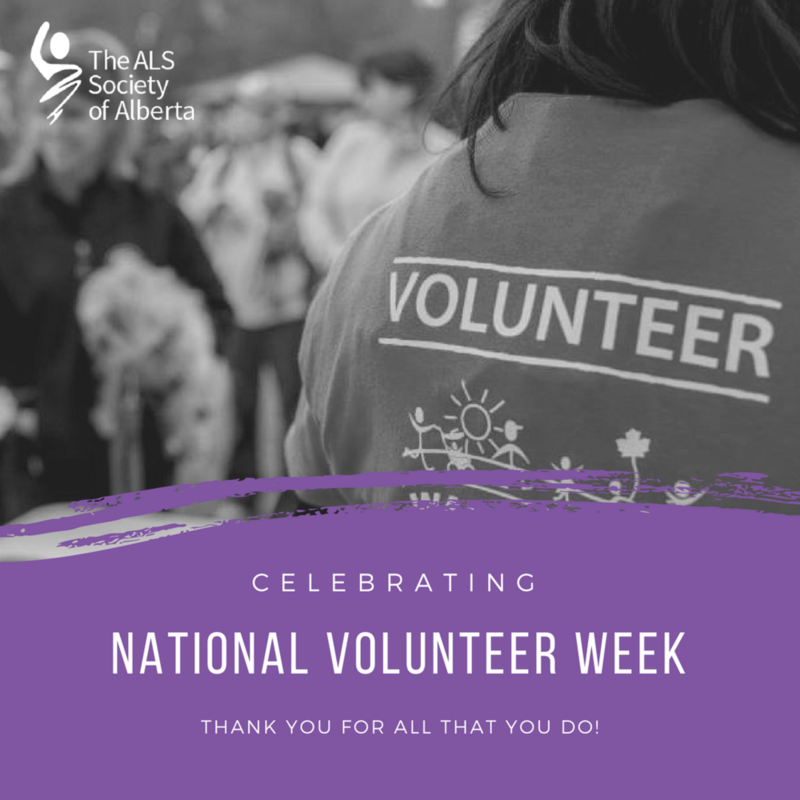 In honour of National Volunteer Week, we would like to say thank you to each and every person who has volunteered at community fundraisers, casinos, the WALK for ALS, Betty's Run, on the Board of Directors and more. You make a direct impact in the lives of people affected by ALS.